We’ve made it to the halfway point in the week and it’s time to recap June! Sun – Momma and Daddy’s for Sunday dinner! My new bar cart!! I finally got it painted and decorated this past weekend and it looks great! I decorated it with these straws, this book, this water, these copper mugs, and many other items. I shared this sneak peek here and I’ll be doing an entire post for the reveal really soon! Be on the lookout for it! This month has been pretty busy. We kicked off the month with a Dave Matthews and Tim Reynolds concert in ATL, we went to the beach for a week, we celebrated Father's Day, B and I spent a day together in Atlanta, I celebrated my girlfriend's birthday, and we also attended the summer social for our church’s Contemporary Couple’s Club. Aside from all of the big events, we have been spending lots of time indoors due to all of the rain we’ve had this month and we have been working on Jacob’s summer homework. I wouldn’t say I’m dreading this, but I head back to Atlanta next week for my second treatment for my back issues. The first one was not pleasant to say the least and I hobbled around like a grandma for the next couple of days after it, so I’m not looking forward to that again. If it works it will all be worth it, but this week I’ve had a serious case of the what-ifs… what if we spend all of this time and money and it doesn’t even work? What if something goes wrong during the procedure? And worst of all, what if this whole thing makes me feel even worse than I was before it? Ugh, I try so hard not to worry, but I just can’t make it stop. So basically, I’m just dreading my own worrying. Sigh. This last week I have been helping my MIL plan my step-SIL’s baby shower. We are hosting along with Brian’s two sisters this weekend so it should be a fun time! We used these invitations and they turned out so cute! Honestly, I’m looking forward to not having a lot going on during the next few weeks. We’ve been busy this last month, and it will be good to slow it down a bit. Watching – Well, I would say that we’re watching The Bachelorette, but does scrolling through your phone and having it on in the background count as watching it?? This season has been boring!! Maybe because I’m not a big Rachel fan? I don’t know, but I’m not digging it this season. We are also watching America’s Got Talent, and I’m sure you already know what I’m going to say next… Gilmore Girls. Haha. We are almost to the end of season 7 and then it will be on to the 4 new episodes and then we’ll be done! Reading – Save the Date by Mary Kay Andrews… I read the entire book with the exception of the last couple of chapters at the beach, but ever since we’ve been home I haven’t had much time to read. I literally only have like five pages to go and then I’ll be done with it. Not sure what I’ll be reading next! The Trolls Soundtrack. The Moana Sountrack. The Trolls soundtrack. The Moana sountrack. The Trolls soundtrack. The Moana sountrack. The Trolls soundtrack. The Moana sountrack. Sound familiar to anyone else?? I’m loving my new J Crew skirt! I just wore it yesterday for the first time and it is SO comfortable. I wish it wasn’t so expensive because I would love to have it white, black, hot pink, and white with black polka dots. Oh, and did I mention it has pockets?!?! Aside from that, I’m loving off the shoulder dresses like this one and this one, and I'm hoping to finally wear this one soon! 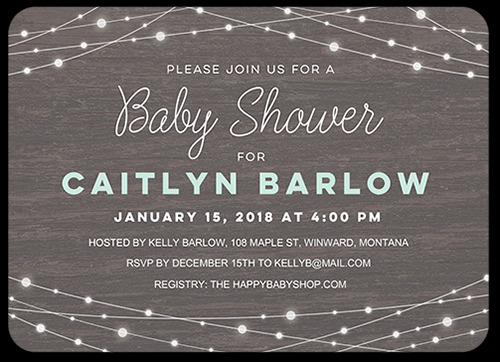 Hosting a baby shower for my step-SIL! 4th of July! I always love getting patriotic and spending time with family. I’m hoping to go to the fireworks downtown since we haven’t been in a couple of years! If you’re in need of any red, white, and blue ideas, I have you covered! See below. And most importantly, I’m looking forward to celebrating my sweet Boo for his sixth birthday next month!. He will no longer show his age on one hand. :o( My, how it has flown. You may remember in last month's What's Up Wednesday post that I discussed that I was going to see a doctor in Atlanta to hopefully start a new experimental treatment for my back… Well, you just read in my “What I’m Dreading” section above that I’m dreading the second treatment, so you probably put two and two together and gathered that I obviously did qualify for the treatment. The doctor I saw does think that this treatment will help me and he thinks that I will only have to have two treatments which would be such a blessing since some people require 6-12 over the span of several months. Anyhoo, please continue to pray for me if you’re so inclined. I’ll take all of the prayers that I can get. Good luck with your treatments!!! Maybe it is one of those it feels worse before it feels better?? Let's hope! Praying the treatments work!! Y'all have been busy! We can't wait to celebrate the 4th, as well! I'm with you on the bachelorette as well as moana and trolls soundtrack, whew its all we listen to! Praying for you and your back, i hope you feel some relief soon! We have been listening to the Trolls soundtrack nonstop. We love it so much! I'll be thinking of you with your next back treatment. Fingers crossed. Ummm yes, that's exactly what we've been listening too except throw in Sing as well LOL. I hope and pray that this treatment works for you! You deserve it. And I love that baby shower invite!! So shocked at the list of things for first graders to do. I have had Em doing phonics on a computer program all summer. However the schools around here don't require anyone to do a darn thing all summer. Guuuurl, I'm soooo not digging this season of The Bachelorette, either. For one, I've missed an episode or two and I just really don't care to record it or watch it on Demand. In previous seasons I would be sure to have the kids in bed by 7:50 so that I was ready for my Monday night Bachelorette. Not this time. :/ Have you ever watched Odd Mom Out on Bravo? That's starting again in about two weeks and I'm crazy excited for it! As for the Moana CD - Yup. It's on repeat in our car. Guess I should look into the Trolls soundtrack for a change up in our music. Haha! I love the gathered waist of your J.Crew skirt and I love that yellow dress! I'm going to make a Jell-O shots this weekend. I am all about the red white and blue everything, LOL! And I'm so intrigued to see more of your bar cart. I want to get one for our new house and I just know yours is decorated so cute! Have a wonderful Wednesday doll! Thanks, Andrea! I love the gathered waist as well. I was just telling my friend the other day that it's weird to tuck shirts into it, though, because I NEVER tuck shirts in. And yay for Jello shots!! Y'all enjoy! Aw I hope everything goes well with your back treatments! I know the worrying can be the worst part. The baby shower invite is adorable, I like the lighting design! I'm making my way through gilmore girls as well, I'm still on season 5 and I never want it to end lol which is why I'm taking my time I guess. Have a fabulous weekend! Thanks, Amanda. That really means a lot. And yes, I feel the same way... I don't want GG to end either. Although I am REALLY wanting to know what happens at the end! I also have your same feeling about this season of the Bachlorette. And when you are finished teaching Jacob how to tie his shoes will you teach Guy?!?!? I didn't get that covered in kindergarten either and need to teach him this summer. It is painful. Hahaha! I didn't realize you had a back procedure! Are you alright? I'm so sorry to hear you have to deal with that. No fun. The invite for the shower is precious. I'm so excited for fourth of July weekend. We've had a doozy of a week already and I'm ready for the weekend! Sending you SO many prayers for your back! Simon finished first grade and it would be hard for him to write so many sentences! I'm so bad at making the kids do summer homework. Wow! They require a lot for first graders...but I guess it makes sense. Gives them some school work during summer, so they completely forget it all. I can't believe we have less than 6 weeks before school starts up again. Gosh! Continued prayers for you my friend!! Aw the baby shower is going to be so cute I just know it! LOVE your yellow print dress and that tortellini meal on tuesday ya'll had sounds delish!! Happy early sixth birthday to him! Oh mercy Lindsay...I can totally understand your frustration, fear, doubt creeping in about this procedure. I haven't even been dealing with something as serious as you and my hip issue has been a long road to try to find a solution/fix that I have just about accepted will just not come. I so hope you have success! I'll be praying for you!!! I finally watched Trolls and Moana since they were on Netflix....so cute!! The soundtracks were pretty good for a kids movie but I can see how annoying they would get if you had to listen to them constantly haha! Can't wait to hear your reaction to Gilmore Girls! I'm excited to see the baby shower decor- the invites look super cute! Aren't they so cute?! I am obsessed with string lights so I thought that these were perfect! Loving those jello shots! Can't wait to see the bar cart.